It is a strange thing to move to the starting line with purpose. You feel the inevitable rush of self-doubt and regret, knowing what is to come in just a few moments. Paradoxically the draw to the race, the excitement in the prospect of victory, narrows your focus until you barely remember the world outside these six lanes. To your left and right the other crews begin to align themselves for the start. You know what you would see, if you cared to look in their faces, which must be mirroring your own apprehensive anticipation. Directly ahead and behind you sit the rest of your crew. Each of them having done the work to equal your own, each of them having steeled their bodies through months of agonizing training for this very moment. With your adversaries so close and your support even closer, the air is thick with competition. Your coxswain calls for you to sit ready, to move almost to the top of the slide tracks on which your rolling seat rests, and place your blade squarely in the water so both you and it are prepared for that first stroke. The clock is counting down. 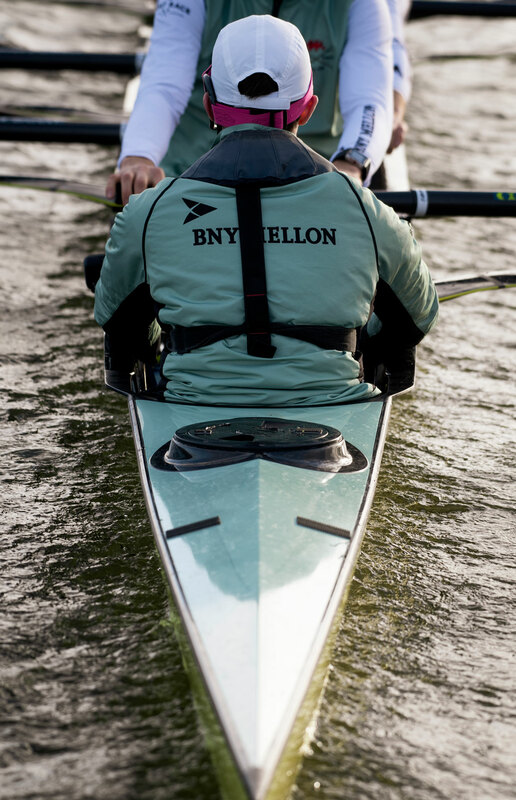 In the Bryn Mawr boat, your crew passes a fist bump from the coxswain to the stroke, all the way down each seat to the bow of the boat and back up. You take a deep breath. Adjust your hat. You’ve prepared for this. Practised until the oar became an extension of your arm, until the push off the foot stretchers where your feet are strapped was perfect. Your body has already begun the race for you, setting off a chain reaction so it seems there is no way to go back. Your heart knows something is coming, some overwhelming task which your body is responsible for bearing. Your heart rate is already elevated, from a resting rhythm around 70 bpm to 85 bpm. Eyes up. Heads in the boat. That initial jump off the starting line cannot be perfectly described by any who have experienced it. Each seat, each boat, each race is a different scene, the details of which could not be recounted precisely for any sum or incentive. But in general, the feeling is always the same. The few senses which your body is still allowing in this moment are always the same. You feel your heart jump to compensate for the enormous energy you now require, already up from a resting rate at 70 bpm, leaping from 93 bpm at the start to 111 bpm, to 143 bpm, all the way to 170-190 bpm which you will maintain through the rest of the race. The flurry of oars and splashing water, so close a collision must be coming for you, the slide of rolling seats up and back repeatedly, and the indistinguishable shouts of the coxswains in the crews next to you. Your crew takes five strokes off the line to get the boat moving, lengthening the stroke with each drive to get more and more inches through the water. After that you launch into a punishing 20 high strokes at 38-40 strokes per minute. Blades splash into the water, oars pry around the oarlock with a groan and the other boats around you are still too close. In a single motion the spacing of each stroke lengthens and suddenly the world narrows. Your crew settles, with each stroke now demanding more power, more drive, more of you than the last. The crews slowly start to break away from each other and the only thing you hear now is your coxswain and your own breath. Physiologically, your body has just launched itself into one of the most challenging sports you could participate in. You are working against every instinct that would prefer you stay far away from anything involving the words crew, rowing, or 2k. In order to prevent the intense physical exertion from overwhelming your system, your body sets off finely tuned homeostatic mechanisms to ensure that, though the race will not be pleasant, you won’t die from it. For this study, I underwent trial 2000m erg tests to simulate a race piece. By measuring my respiratory rate, O2/CO2 exchange, heart rate, temperature, and other parameters, I am able to piece together a picture of these mechanisms. Specific data referenced here comes from the final and most comprehensive trial. First, let’s determine why your body has to make any changes at all. In order to pry the oar through the water at 36 strokes per minute off the start, you’re going to need a lot of muscle contraction. Each skeletal muscle cell, from those in your arms and hands pulling the oar to the especially important ones in your legs and glutes providing the majority of the power, needs to be engaged. In order to generate the force and speed you require in that starting sprint, you’re going to need a lot of energy, fast. This comes in the form of ATP (adenosine triphosphate), the body’s energy currency, generated by the breakdown of glucose. Muscles can initially get some from within their own cellular stores in the form of ATP reserve, phosphocreatine, and myoglobin. However, this is only sufficient for about fifteen seconds. At this point, the muscle cells need glucose, fast. During a 2k, at such high intensity, the glucose supply mainly comes from carbohydrates. This can be seen in the Respiratory Exchange Rate (VO2/VCO2). Values below 0.85 indicate that fat is being used as the main fuel source and values closer to 1 indicate carbs as the major glucose source. During my own 2k test, I averaged 0.96, evidence of my body’s preferential use of carbohydrates to power that exertion. Carbs make a great fuel source because they burn more quickly than fats and proteins and so provide more immediate energy. Burning fats requires beta-oxidation, which takes more time. During a 2k, your body definitely doesn’t have time to wait for energy, it’s desperate for the quickest, most efficient route. There is another way for your body to get the energy it requires for this race, but you won’t like it. If the muscle cells become starved for oxygen, as they will when the exertion demanded exceeds your own physical capacity to draw in enough air, they may rely on glycolytic metabolism, 2.5x faster than the aerobic pathway described above. In this high stakes route, breakdown of glucose yields, in addition to ATP, lactic acid. That’s right, acid. It’s about as pleasant as it sounds. Flooding the muscle fibers with lactic acid decreases the pH in your body, an incredibly painful punishment for forcing your body into a 2k race. For this reason, and the fact that this anaerobic pathway is 15x less effective at producing glucose than aerobic respiration, this is unsustainable. When you’re at the starting line, your heart already starts to beat faster, you breathe a little quicker, you may even start to feel heated. The unappreciative will write these off as nerves, but this is actually a part of a ‘feed forward’ mechanism preparing your body for the exertion it’s about to undergo. The anticipation of the race activates your sympathetic nervous system, releasing excitatory neurotransmitters. These chemicals rush through your body to your cardiovascular and respiratory systems. 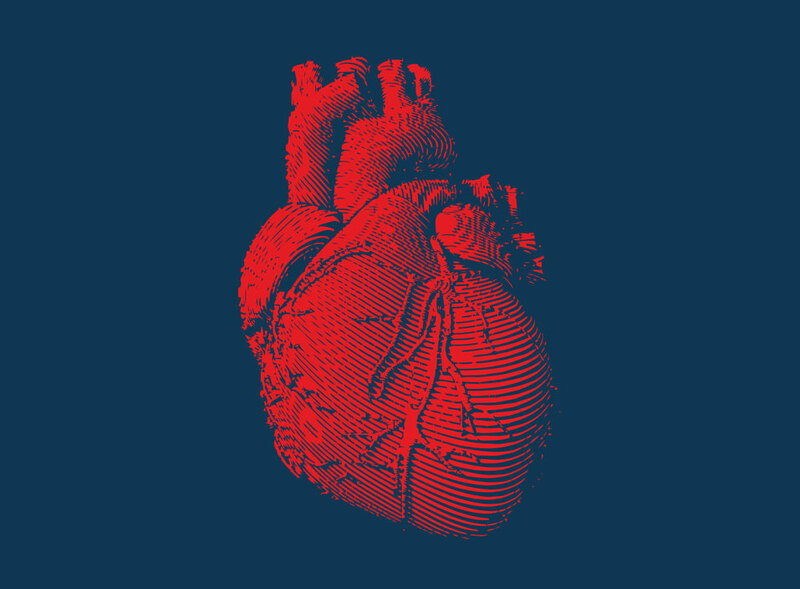 In the cardiovascular system, vasoconstriction to less engaged parts of the body allows for preferentially increased blood flow to the most demanding muscle groups. Some sources cite an increase of blood flow to the muscles during exercise as much as 67%. In the respiratory system, the breath hastens thanks to excitatory output from the medulla oblongata in the central nervous system. Moments before my 2k, my respiratory rate and heart rate both quickened to prepare my body for the forthcoming exertion. My rate of breathing jumped from 17 breaths/minute to 25 breaths/minute and my heart rate rose from a resting rate of 70 bpm to around 100 bpm. If you can remain focused, these ‘nerves’ are actually hugely beneficial to your later race success. Anybody can be fast off the starting line. Only after that initial sprint will you really start to struggle, but you can’t give up now because races are won in the middle 1000 meters. Your lungs are burning, your throat so dry it might split, it has long since been possible for you to draw in enough oxygen to feel satisfied. Every stroke hurts, the burn now testing your dedication, your commitment, your sanity. Your boat is gliding through the water, but you are not frantic, not for a moment. Your blade has become an extension of your body, reflective of the hundreds of hours you have put into perfecting its movement, precisely calculated for maximum efficiency. At halfway you still have 3½ minutes to go. There is always a little voice, pleading from the back of your mind for mercy, for a single stroke off. You must always deny this voice. The bodies of your crew swing together, every entrance of the blade, every press of the legs, every breath synchronizes perfectly and serves as a constant reminder: you would rather suffer every stroke of this race than concede to fatigue now. The paradox in this rowing world is that you face in the opposite direction of your destination, able only to see how far you have come. At this crucial moment of the race, you keep your eyes fixed on your teammates ahead of you. It is the only thing that can distract from how far you have to go. Expectedly, your breathing must increase substantially during a 2k, to provide the oxygen your body needs to metabolize glucose for your contracting muscles. This may be observed in the change in VO2 and VCO. VO2 refers to the volume of oxygen (in liters) consumed per minute and VCO2 refers to the volume of carbon dioxide generated per minute. During a 2k, when the muscles engaged are demanding dramatically increased volumes of oxygen, both parameters increase substantially. Breathing rate must increase to bring in more oxygen, reflected in the increased VO2, and greater respiratory exchange subsequently causes VCO2 to rise. During my 2k, my breathing rate deepened from 4.6 L/min to 97.1 L/min. In order to pump all that extra oxygen through to your muscles, your heart has to work harder during a 2k, more than twice as hard in my case. We can measure heart performance by cardio output (CO) calculated from VO2, heart rate, and stroke volume. During my 2k, my cardiac output jumped from 4.4 L/min to 24 L/min in order to fulfill the oxygen demands of my exerting muscles. Cardiac output is controlled by both heart rate and stroke volume, a measurement of the heart’s capacity to pump blood. My heart rate rose dramatically throughout the 2k, jumping from an already elevated 93 bpm off the start to 190 bpm by the end. My calculated stroke volume also increased by 2.6x. Control of heart rate comes from the central nervous system, which acts on the heart’s pacemaker, the sinoatrial node, to enact the necessary change. The same system also causes the increase in stroke volume by enhancing the cardiac muscles’ ability to contract more forcefully. You are coming up on the finish now and despite how far you have already come, it is time to find something else inside you to give this race. You have not let up on the power in your legs, driving against the foot stretchers mounted inside the base of the boat to propel your team through the water. Each stroke with the blade stems from your legs, which are surely nearing exhaustion. The crowds are thickening here, where the real drama of the race unfolds. Less than 400m to the finish line and another boat on your left. Every single inch counts as you fight them off, with the bow of your boat barely pulling ahead of theirs and vice versa on each alternating stroke. The stroke rate rises another two beats per minute, trying to cheat time out of a couple more inches. You become hyperaware of each individual muscle in your legs. If you are rowing hard enough, you bend the shaft of your oar through the water as your weight shifts off your seat and you force it out on the blade. You are overcoming the opposing resistance of the water to command your boat past the other team. There’s no glory at the finish line if you don’t leave everything you have out of the water now. Studies show that your brain fatigues before your body, and in that moment you know this as true because only the sheer will to quiet that voice in the back of your head can keep you going. The other boat is falling back now. Straining to drive your burning legs, drawing in final breaths through burning lungs, and prying your blade through the water in time with your whole crew you push your boat past the finish. The buzzer sounds. You collapse over the oar that has borne the brunt of your aggression through the whole race. You’ve lost nearly 3 pounds. Your body cannot just bounce back to normal right after that kind of exertion. In fact, for about a minute following the race your heart rate is still rising, your cardiac output still increasing, and breathing peaks. Your heart needs to continue pumping massive amounts of blood, circulating out any lactic acid build-up and supplying oxygen to your muscles, which are still recovering from such forceful, sustained contraction. The entire race has put your body into an oxygen deficit because the oxygen consumed was not enough for cellular energy demands. In addition, you’ve used up your normal stores of ATP, phosphocreatine, and myoglobin and need to replenish these. To compensate, you continue to breathe quickly after the race until your cells are satisfied. After my 2k, my heart rate rose for another 1½ minutes before beginning to fall and my CO peaked at 25.2 before falling after about a minute. Through this entire race you’ve slowly dehydrated your body, contributing to that blistering burning in your throat and mouth the whole way down. The approximately three pounds of weight referenced, which I lost through my 2k, is almost entirely water weight. A lot of the water loss occurred from sweating which prevented your body from totally overheating. Thanks to this wonderful self-cooling mechanism, my skin temperature actually fell throughout the race even though my core temperature was rising due to the exertion (98.2 degrees Fahrenheit to 98.7). You’re burning for water, gasping for breath, and exhausted. But in victory, there is no greater reward for what you have just accomplished than evidence of how much it demanded of you. One of the biggest myths of this sport is that rowers pull hard in spite of the pain, but the truth is they revel in it because it’s the pain that tells them what they are achieving. Emily Spiegel is a varsity rower at Bryn Mawr College, Pennsylvania. All data featured in this article was collected from her during trial 2k ergometer tests in the BMC Biology Laboratory. She is approximately 145lbs and 5’9”. Hagerman, Fredrick C., PhD. “An Update of Rowing Physiology.” USRowing. Concept2, USRowing, Ohio University Foundation, n.d. Web. Physiology of Exercise and Changes Resulting from Lung Disease (Chapter 28) in Lung Function: Physiology, Measurement and Application in Medicine, Sixth Edition. Blackwell Publishing Ltd , Author(s): J. E. Cotes, D. J. Chinn, M. R. Miller, Published Online: 30 APR 2009. Volianitis, Stefanos, and Niels H. Secher. “Rowing, the Ultimate Challenge to the Human Body – Implications for Physiological Variables.” Clinical Physiology and Functional Imaging 29.4 (2009): 241-44. Web.